Singaporean iPad, iPhone and Android Blog: Challenging the Iphone’s dominance: Microsoft-Nokia, Sony-Google, but what about Nintendo? Challenging the Iphone’s dominance: Microsoft-Nokia, Sony-Google, but what about Nintendo? Over a week where reports of Ipad 2G have been intensifying, it is also a stark reminder of Apple’s overwhelming dominance that news of an Iphone jailbreaking breakthrough (pun intended) of the iOS 4.2.1 has probably generated more forum interest than any of Nokia’s products in the past 6 months. “At the lower-end price range, Chinese OEMs are cranking out a device much faster than, as one Nokia employee said only partially in jest, "the time that it takes us to polish a PowerPoint presentation." They are fast, they are cheap, and they are challenging us. 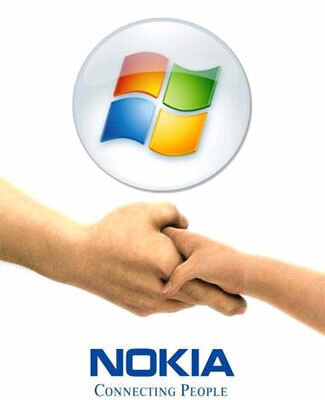 We can see where all this is heading for Nokia because it has been reported that Nokia is in talks with Microsoft over a potential Nokia Windows 7 tie-up. Given that Sony has gone public with its Xperia Play (aka next-gen PSP phone) and its Android core, clearly the gaming and phone market landscape will be reshaping in a huge way over the next several months. The Apple Appstore success has obviously fuelled a three-way industry realignment with Nokia and Microsoft potentially combining its developer base, with a strong gaming pedigree provided by Xbox combined with still-attractive Ovi store offerings like Nokia’s GPS mapping applications. While at one corner, we see Sony and its playstation gaming developer base going in with Google’s Android. Well that will leave Apple and Nintendo free to co-operate with each other wouldn’t it? Now, that would be an awesome pair-up….